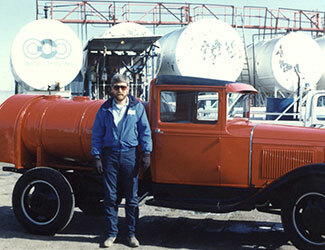 Over 55 years of successfully meeting our customers’ fuel and oil needs. Here at CCO, there’s been a pattern of stability that has never waned, years of expectations consistently met, familiarity with area businesses and people, relationships that have spanned generations, and a foundation built on 55+ years of experience and hard work that will continue to lead us into the future. 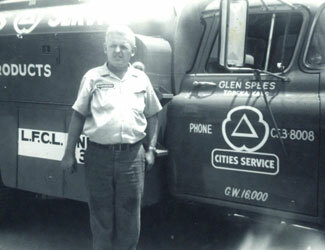 Glen Spees and Frank Smith started Capital City Oil (CCO) as a distributor for Cities Service in 1960. The years that would follow saw our company survive the 1966 Topeka tornado, the fuel shortages during the 70’s, new tank regulations during the 80’s and 90’s, and the closing of at least 20 distributors in the Northeast Kansas area. In 1985 Marvin Spees purchased the business from his father, Glen, and Frank. Since Marvin’s purchase of the company we have seen steady growth and expansion. In 1985 we had 5 employees at only one location (Topeka). We now employ a team of experienced people that make up our Operations, Sales, Delivery, and Marketing teams; throughout locations in Manhattan, Wamego, Topeka, Lawrence and Kansas City Kansas. Under Marvin’s stewardship we have steadily increased our fuel and lubricant gallons over 20 times the volume we were in 1985. In 1998, we started a residential/commercial propane delivery service from the ground up (that we’ve since sold to concentrate on our core business of providing quality commercial fuel and lubricants). We’re still operating on the very same corner since 1960, happy and proud to call Topeka home. In addition to having an experienced and reliable team of which a large number have been with us for over 10 years, we have a fleet of delivery trucks with the ability to deliver up to 8,000 gallons of fuel, 10 Capital City Oil Cardlock locations throughout Northeast Kansas, a supply warehouse in Kansas City, and one of the first 5 companies nationwide to offer Chevron’s ISOClean service. Of the 177 fuel suppliers that we use throughout the country, we compare everyone else to Capital City Oil. Get the advantage of working with a supplier that has over 50 years of knowledge and experience.